You’ve chosen the perfect people to be a part of your wedding party; now you have to find the perfect gift for them! 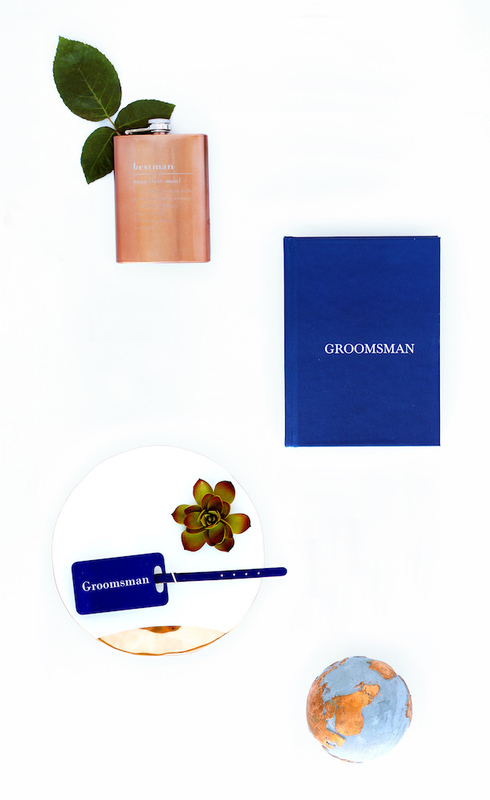 Your bridesmaids and groomsmen deserve much more than the usual key-chain or strand of faux pearls. It is time for you and your fiancé to get creative and personal! 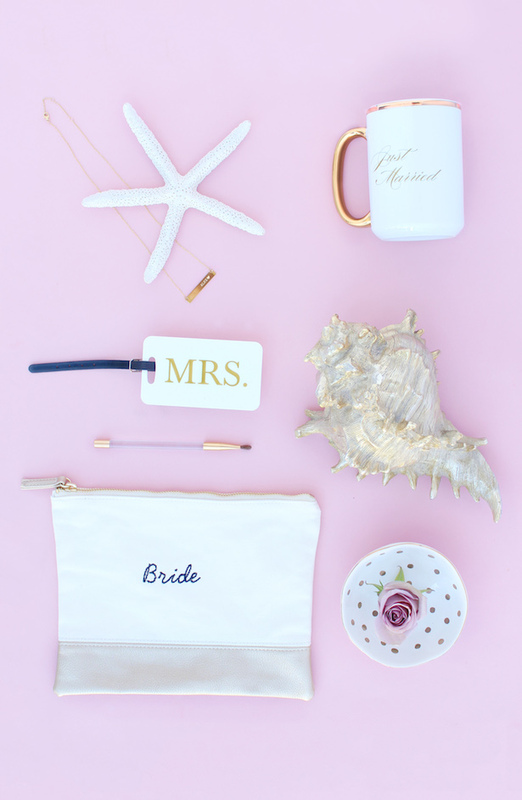 Enter The Wedding Shop by Shutterfly, home of a full line of thoughtful and easy to customize bridal party gifts, as well as stationery and wedding albums, that will become treasured mementos for your loved ones for years to come. 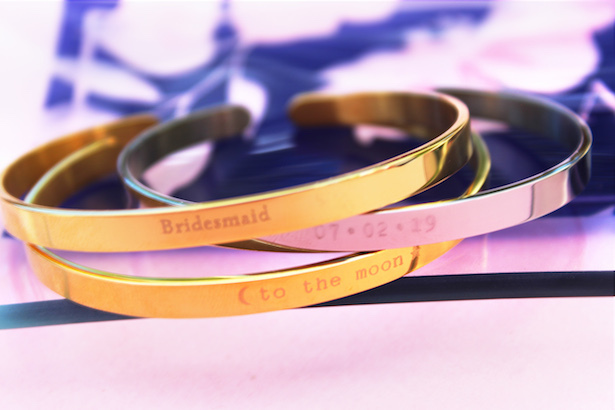 If you’re looking for bridesmaid gift that your besties will adore, look no more… we found them! 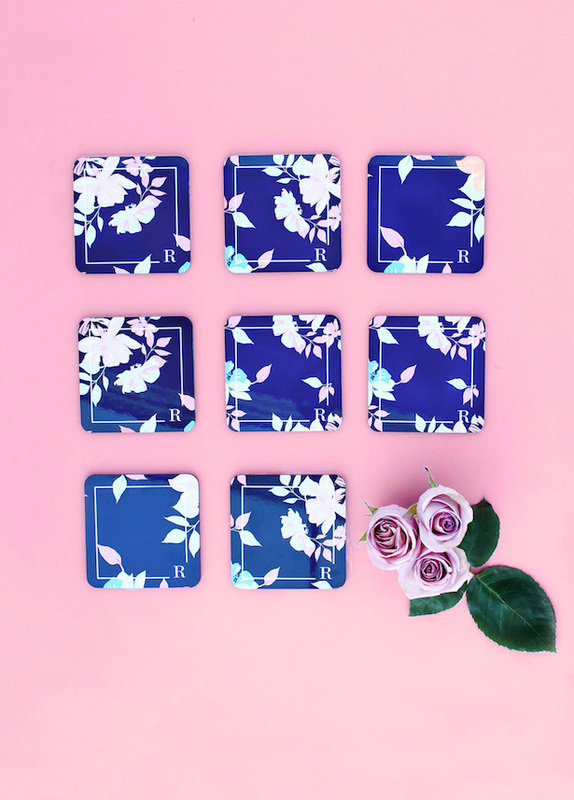 With our own floral pattern, we designed the cutest Personalized Hardcover Journal, Monogrammed Coasters, stylish Coffee Mugs, a pretty little Luggage Tag, and a lovely Catch All Tray that makes for the chicest gifts for your tribe. That is the beauty of The Wedding Shop! 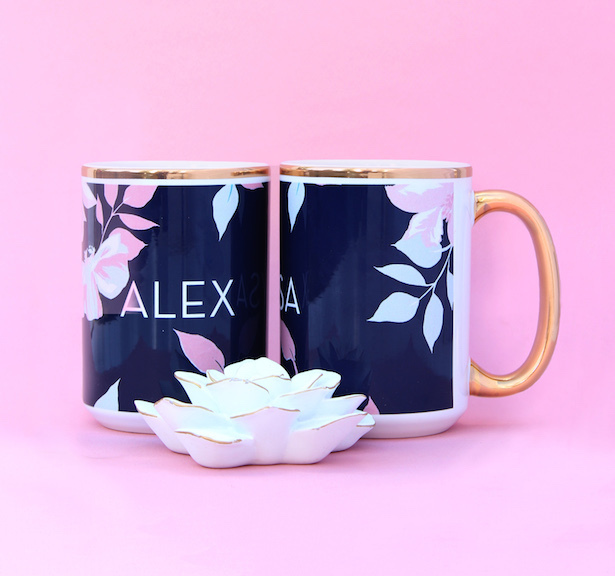 You can choose one of their stunning designs or upload your very own graphics to customize your products to a T. From pictures of you and your girls, to a pattern that matches your wedding colors, The Wedding Shop allows you to express your personality and style every step of the way. 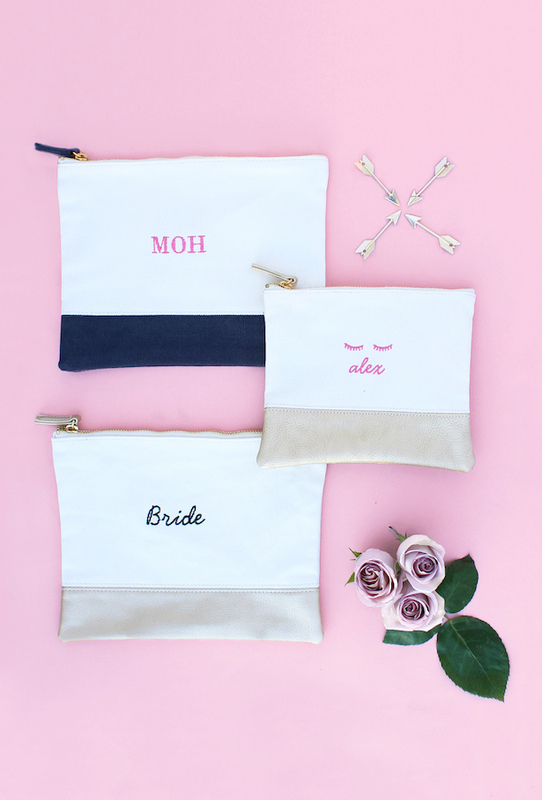 One of my favorite gifts from The Wedding Shop’s stylish selection is the custom Embroidered Canvas Pouches that let you add a personal word or monogram for each of your bridesmaids. They are super practical and come in a variety of appealing styles and colors that your besties will love. The engraved jewelry is by far my favorite item right now. 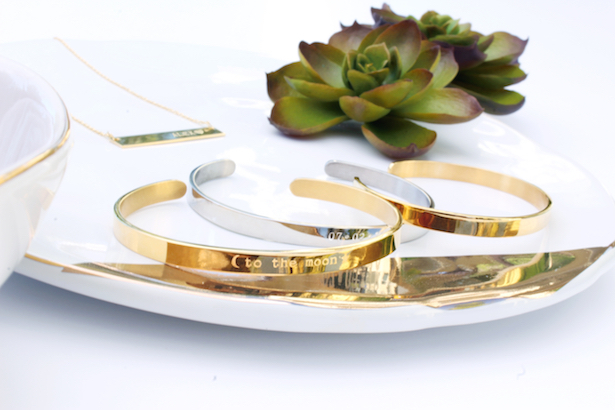 I am obsessed with their Bar Necklaces and Metal Cuffs that can be personalized with a word, a phrase, initials and/or a date. 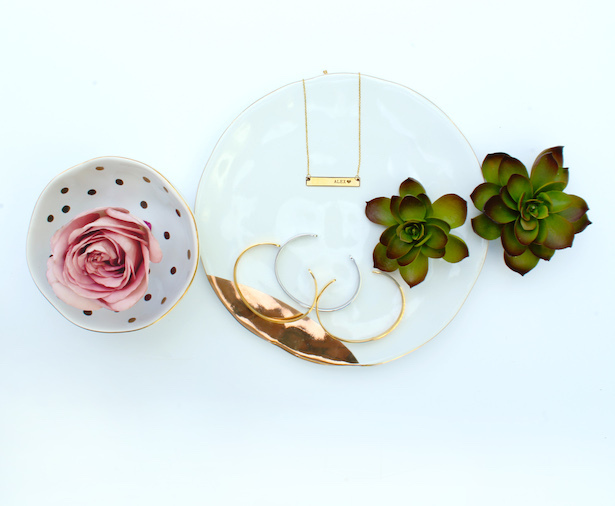 You can also mix and match their three different metal options (gold, rose gold and silver) for an eclectic fashion-forward look for your bridal babes. But, do you know what would be a rather fantastic idea? 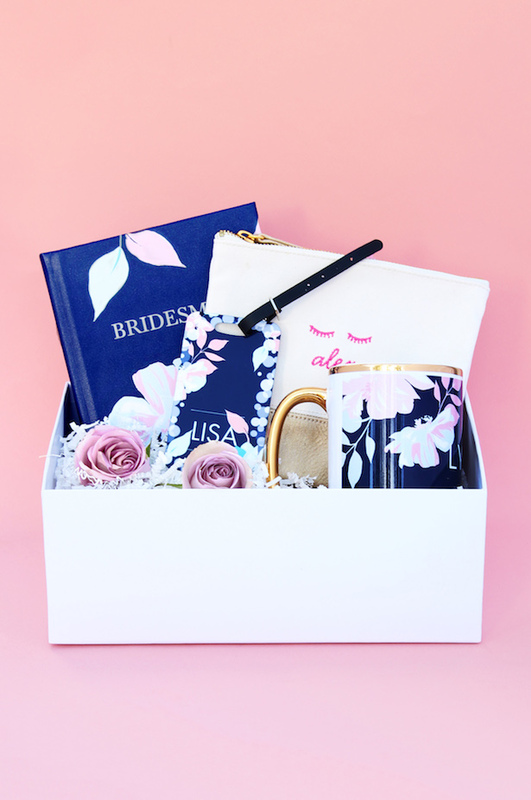 Including some of the gifts I had shown you above inside a bridesmaid proposal box— a bridesmaid proposal box is a great way to let your bestie know you want her to be a part of your wedding day. 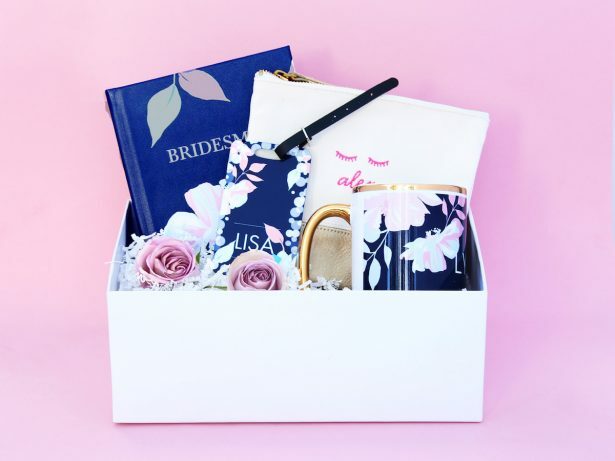 As you can already see, The Wedding Shop has a huge variety of gifts you can personalize and incorporate inside a bridesmaid proposal box to ask your favorite girls “Will You be my Bridesmaid?” in style. Just to give you an example, here is a bridesmaid proposal box I put together with their Journal, Coffee Mug, Luggage Tag, and Pouch. Slay! Finding something for your ladies can be tricky, but when it comes to the guys, I know some of you are just plain stumped. 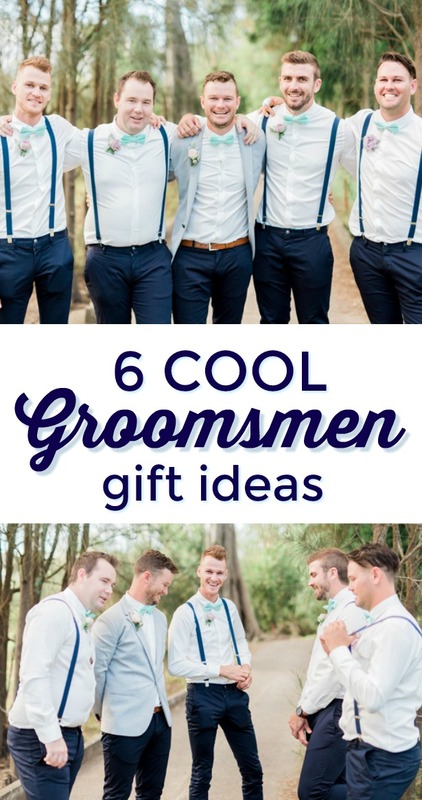 Thankfully, we’ve got your groomsmen covered, too. Try The Wedding Shop’s 8-ounce Custom Flasks – a stylish gift etched with a monogram, design or personal message. You can choose from matte black, copper (like the one below) or stainless steel finish. Plus, I highly recommend you taking advantage of this hip pre-designed Best Man Flask, a time saver option! Some groomsmen are not into the bar-related gifts, so for them, you can choose a Hardcover Journal or a Luggage Tag that you can personalize with their initials or a photo of their favorite destination, or simply choose one of the pre-made designs The Wedding Shop has available for you. 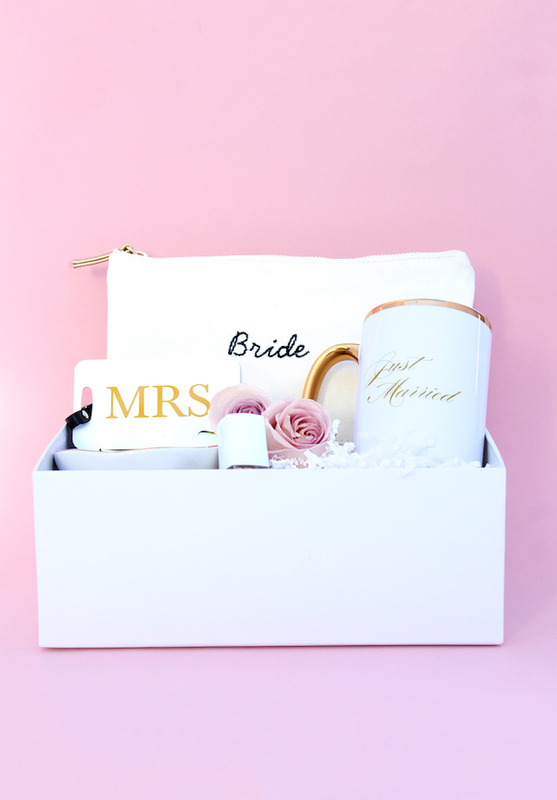 And since you are already at The Wedding Shop getting your bridal party a token of appreciation, don’t you think this is the perfect opportunity to get yourself a little something to show the world that you’re getting married?! Well, I think so! 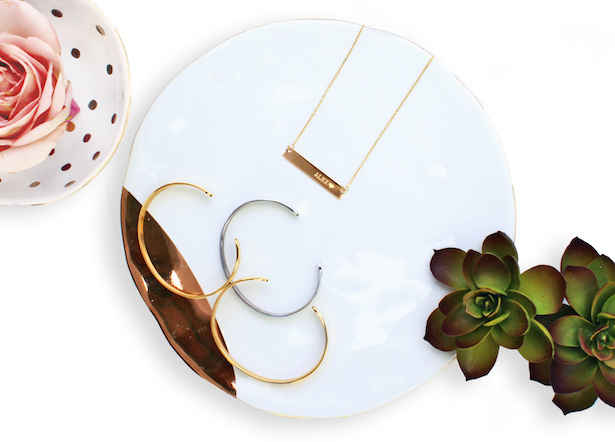 And also, believe it or not, your loved ones are in desperate need of gift ideas for your bridal shower. So I highly recommend you share the following suggestions with them. 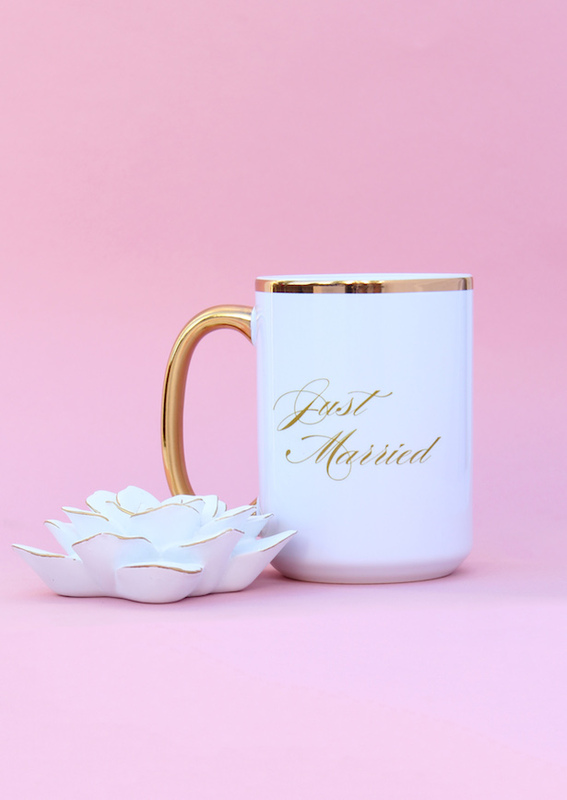 For the coffee-loving bride, a Custom-made Mug is essential. 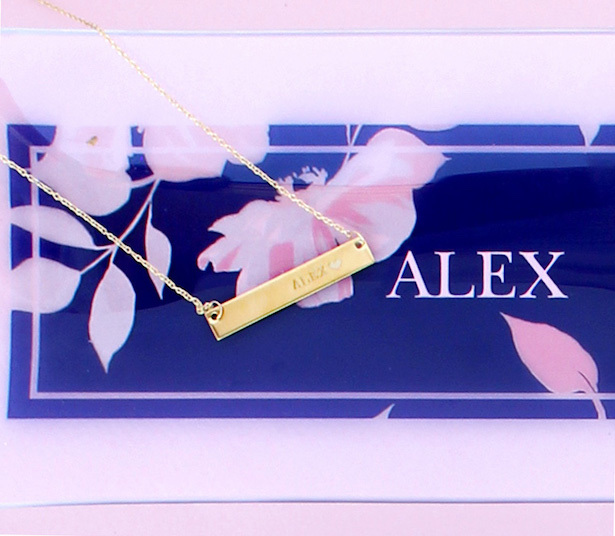 You can even personalize it with the word “engaged” or your initials. It will be the perfect way to get the caffeine dose you need during your wedding planning process and it will make for the loveliest prop for those ring selfies. You can also go with a “just married” quote, so you can use your pretty mug after the big day. 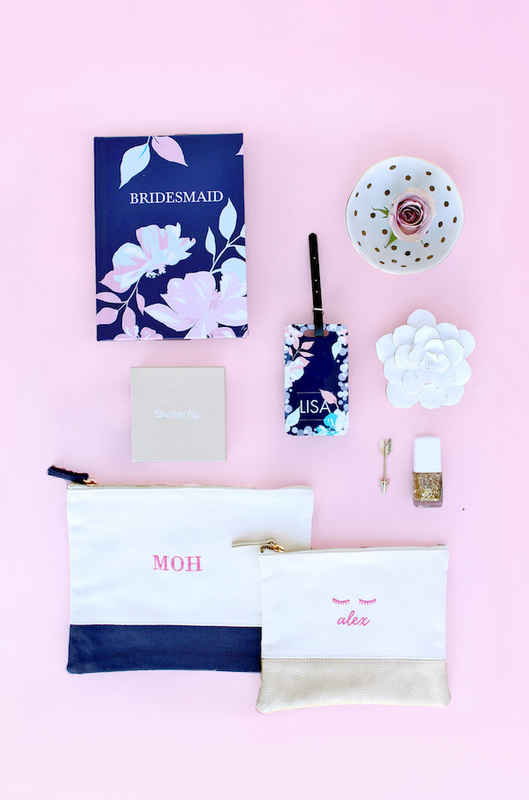 From mascara to nail polish, this Canvas Pouch is exactly what you need to hold all your wedding day essentials. And after the big day, it can store and protect all your beach essentials during your picture-perfect honeymoon. 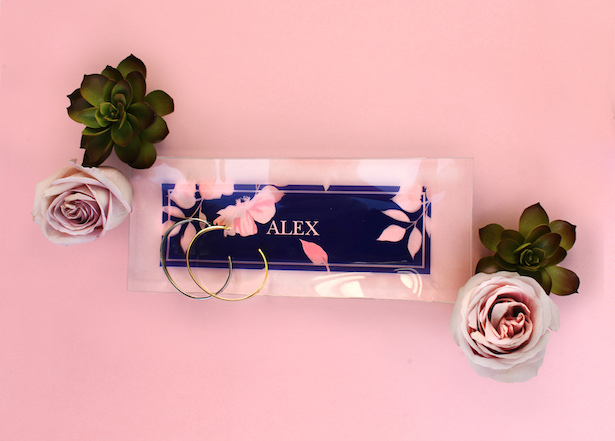 Talking about the honeymoon, this cute Luggage Tag is a-must-have to jet off showing your new “Mrs.” status. So many fun options, right?! 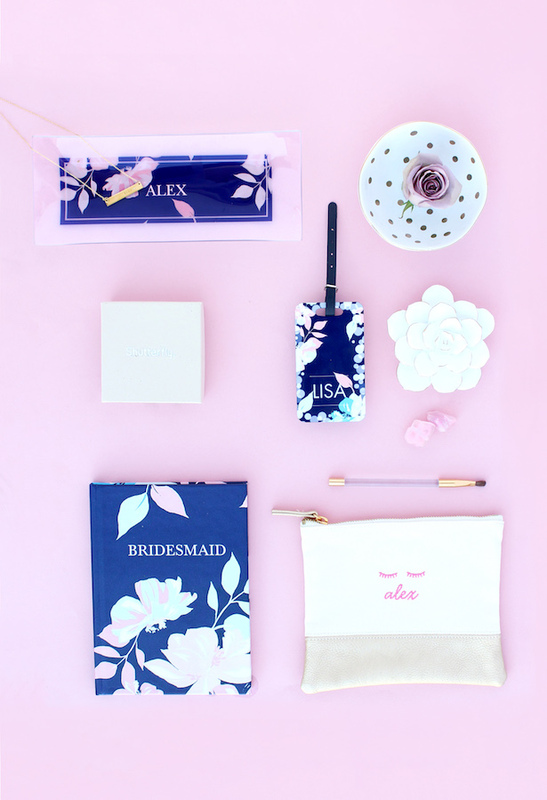 And the best part is that it was so easy to customize these bridesmaid and groomsmen gifts with The Wedding Shop’s super fun collection. 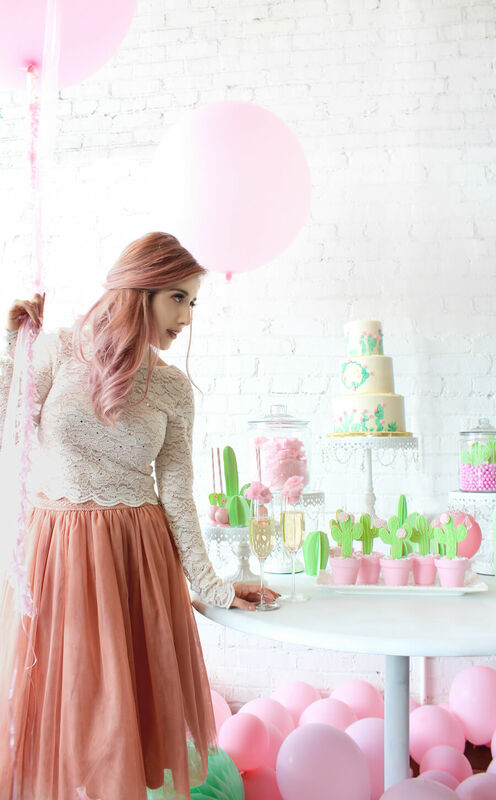 Get inspired and head to The Wedding Shop by Shutterfly to personalize your own wedding party essentials.